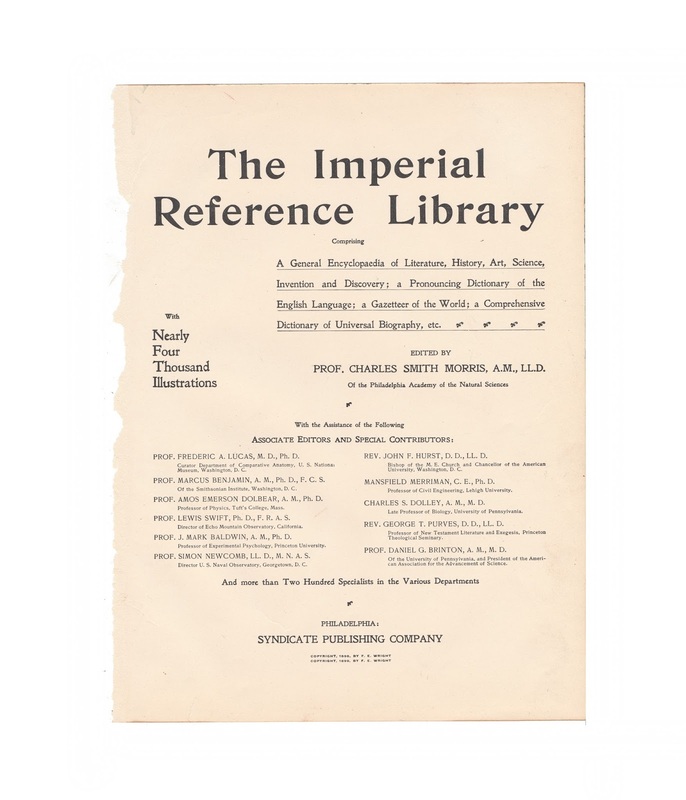 This 8 inch by 11 inch print comes from a disbound volume of "The Imperial Reference Library: Comprising A General Encyclopedia of Literature, History, Art, Science, Invention and Discovery; a Pronouncing Dictionary of the English Language; a Gazetteer of the World, etc." It was edited by Charles Smith Morris and published by the Syndicate Publishing Company in 1899. 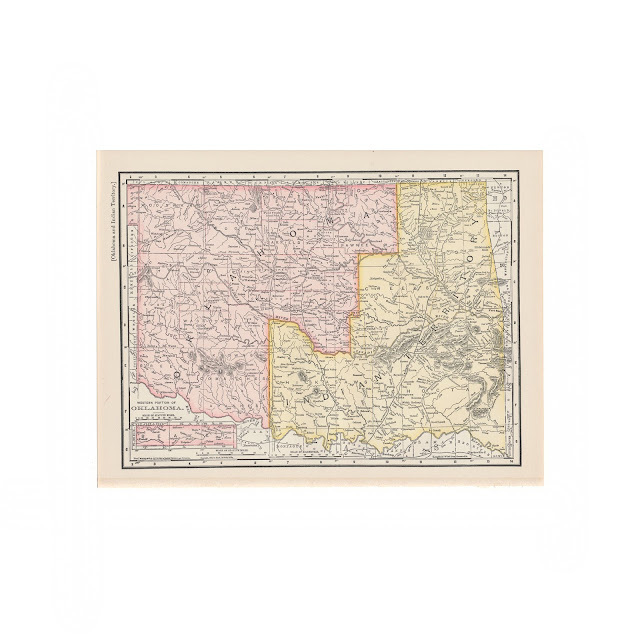 This antique map features the Oklahoma and Indian Territory. 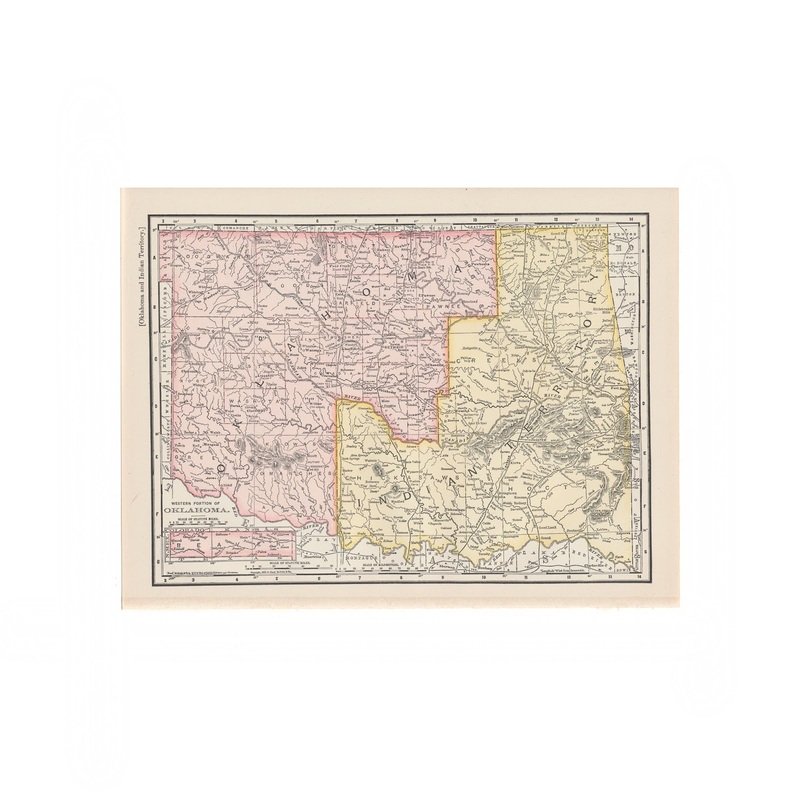 The paper is clean and bright with very little wear, soil or browning.